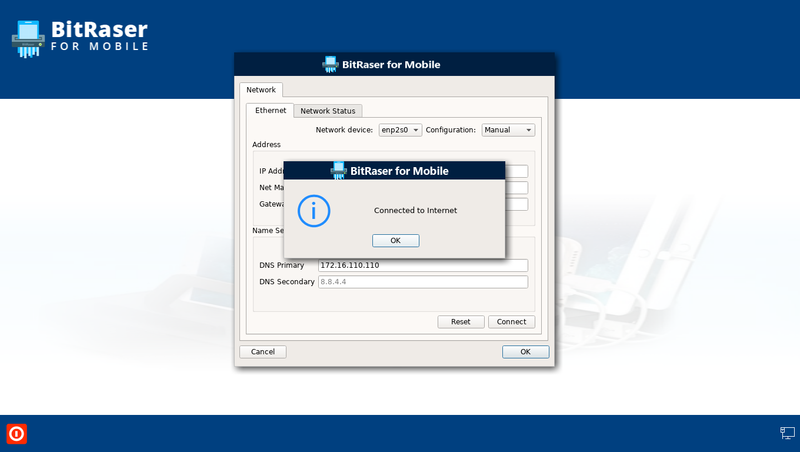 BitRaser for Mobile is a trusted software which can be easily deployed for erasing data from iOS and Android devices. Follow the below process to do a step by step erasure or call us. You can also write to support@bitraser.com for assistance in deployment. Boot the System wherein the Application is installed and connect all the mobile devices through a USB Hub. 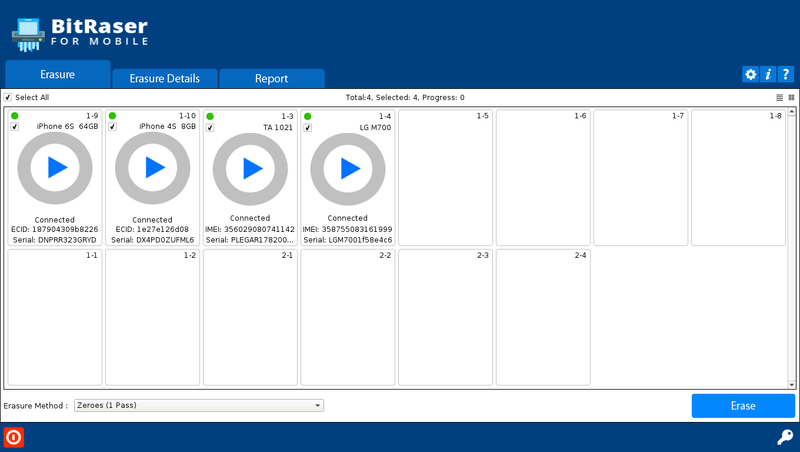 Connect to the Internet by providing IP Settings. Once the connection is established, a confirmation message will be displayed. All the connected devices are listed here. Select the devices to be erased. Choose the erasure method & then click 'Erase'. 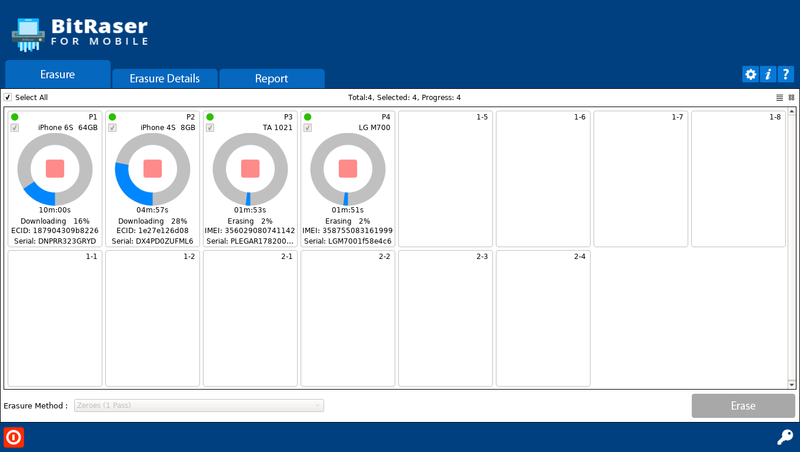 Once the erasure process starts, you will be able to monitor the progress on the screen. 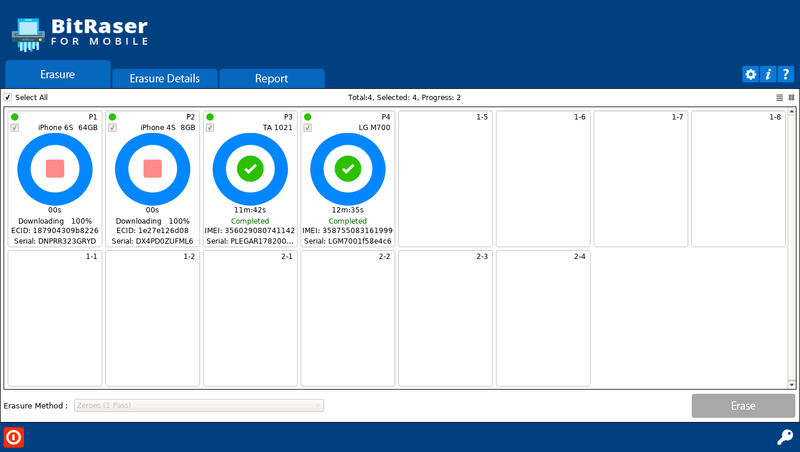 Once the erasure is over, it will change the status from "Erasing" to "Completed". 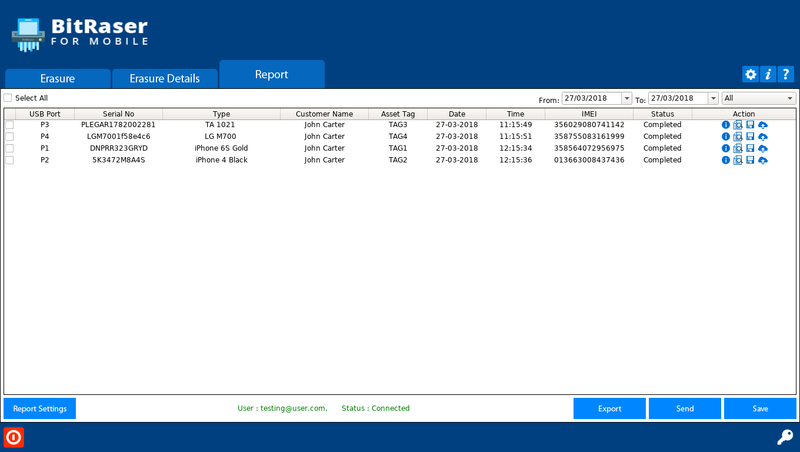 All the erasure reports can be gathered from the "Report" tab and allows to push reports to the cloud based server.